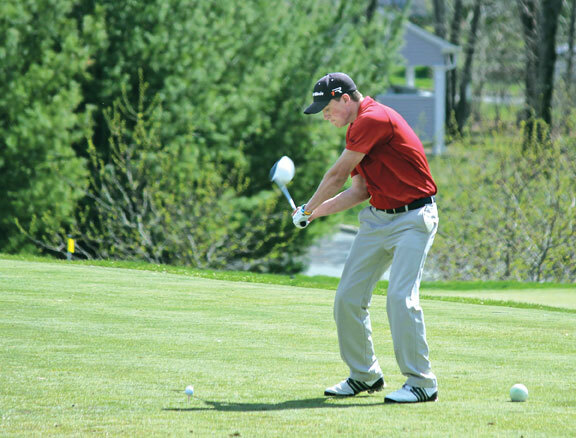 NAUGATUCK — The race to a Naugatuck Valley League championship on the links usually doesn’t start until the end of May. But this year under a new alignment, the champion will be decided by regular-season record. That has created a flurry of competition on courses throughout the Valley as teams are jockeying for position and putting new meaning into home-course advantage. Naugatuck got off to its best start in years, picking up four wins in a row at their home course of Hop Brook. 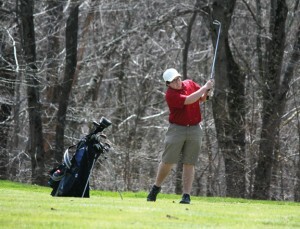 Naugatuck ventured to its first road match at Oxford Greens April 28 and fell to upstart Woodland by a 198-205 margin. That will certainly create a little payback approach when the two teams meet again at Hop Brook on May 19. Holy Cross, last year’s NVL and Division III state champion, is off to a 5-0 start. Wolcott (3-2), Torrington (3-1), Watertown (5-3), Woodland (4-2), St. Paul (4-3) and Naugatuck (5-1) all have legitimate shots at taking home the regular-season title. The league will also award Brass and Copper division titles and will crown an NVL tournament champion June 5 at the Watertown Golf Club. The Greyhounds usually rely on Nick Tribanas, Brendan Waldron, Dan Capone, Tyler Sounanthanam and Jake Alcorace to provide the scoring. Blanchard has a few more options at his disposal with a senior-laden team and all five starters back from last year. Seniors Mark Cavagnuolo, Matt Jackson, Tom Karas and Nate Lindsay add to the senior leadership and experience that the ‘Hounds bring to the course. They also have first-timer Pat Murphy, who is improving. 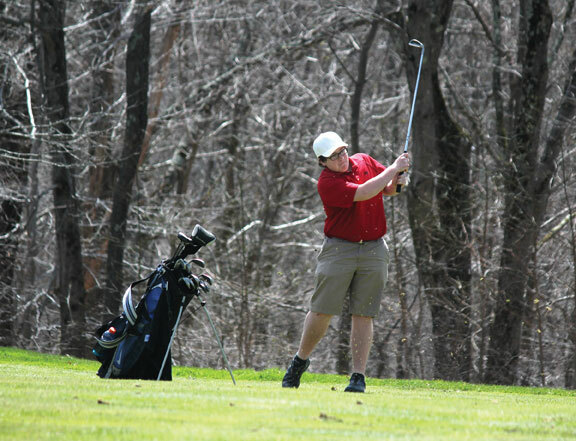 Naugatuck came away with a 173-181 victory over Watertown on Tuesday at Hop Brook by shooting its lowest round of the season. Tribanas led the way by shooting a 39 to finish the match as the medalist. Waldron came in with his second-best round of the season, shooting a solid 43. Capone finished with his season-best at 45 with Alcorace hitting a 46. Sounanthanam put together a round of 49 as the ‘Hounds improved to 5-1. The annual Woodland Invitational scheduled for Thursday at Oxford Greens was canceled due to weather. The Greyhounds will visit St. Paul on Monday and host Holy Cross on Tuesday. “We still have some pretty tough matches ahead of us and we will have to earn every one of them,” Blanchard said.